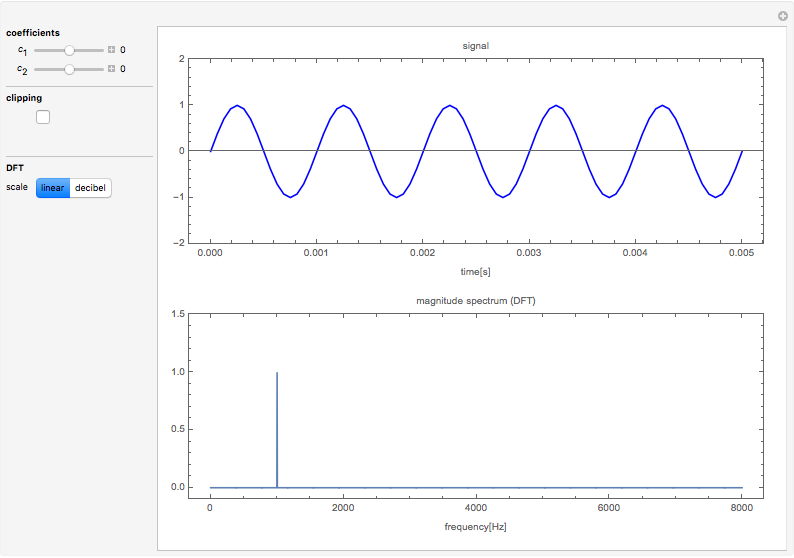 If a sinusoidal signal is applied to a linear system, the output is a sine wave with the same frequency. 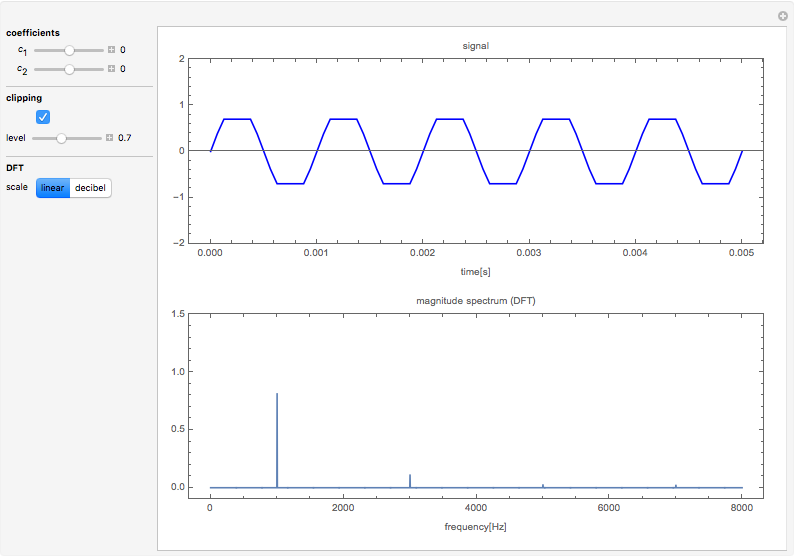 Output signals at other frequencies are observed as well for nonlinear systems. 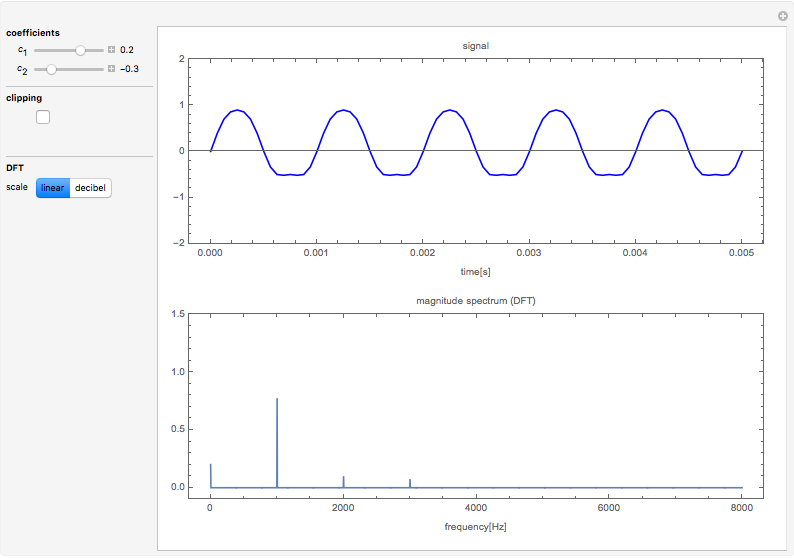 This Demonstration considers nonlinear input signals of the form , in which is a sine wave with frequency 1 kHz and amplitude 1. The figures show the output and its magnitude spectrum obtained from the DFT (discrete Fourier transform). Depending on the coefficients and and the settings for clipping, the output has spectral components at either even or odd multiples of the first harmonic. Carsten Roppel "Harmonic Distortion of Nonlinear Transfer Function"